Some Legion updates. More coming. In Legion Outlaw is just fine and may even be “the best” PvP spec as Warlords Season 1 starts. Subtlety is about bone-crushing burst out of stealth, but Outlaw is about sustained DPS and has it’s own serious burst. For all the Rogue changes in WoD, go here. Quick notes for the Outlaw Rogue. 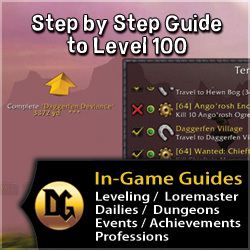 Most of this page assumes that you’re level 110. (If you’re not, then go here.) Lower level Rogues can still use much of the material here, so read on and grab what you need. This section is a summary of Outlaw in PvP. + Killing Spree for Burst, and you can’t be peeled while Spreeing. – No more poisons or bleeds. Orc, for the Blood Fury racial and stun Resistance. Troll for “Berserking” and snare resistance. Human for the escape and Versatility, or Gnome for more energy, size, and escape. Stats: For all roles: Agility before everything else, Mastery and crit are the weakest stats for DPS. All gear and stats are normalized in all PvP situations, so gear is far less relevant than before. Use 5 pt finishers, 6 pt with the Deeper Strategem talent. Blade Flurry is for only two or more mobs/players. In Legion you talents have a couple of small, mildly interesting changes. You can change specs any time that you’re out of combat. Switch to any of the three specs whenever you like. No trainer or reagents needed. In PvP, at level 110, you get your basic talent set plus a set of PvP talents. You will have to progress in Honor Level to be able to access all of those talents, however. Oh yeah, and then there are the various changes from before Legion, such as Slice and Dice now being a talent, and Outlaw only. Deeper Stratagem – Passive. You can now store and use up to 6 CPs on your finishers, plus yoiur finishers do 10% more damage. Marked for Death – Mark your opponent with 5 CPs. Refreshes if it dies soon. Use it to roll your bones before the fight. Or to pop in another Eviscerate mid fight. You’ll gain Honor Level through your various PvP encounters. As you gain in Honor Level more and more of the talents will unlock. Gladiator’s Medallion will be available as soon as you hit 110. At Honor Level 10 you can pick one talent for each row from the first column only. At 28 you have access to the first two columns, though still one pick per row. At 46 you have access to all the talents and it works like your regular talent page. In Legion your Glyphs are dead. Not totally, there are some minor glyphs which are purely cosmetic. None have any combat value. Glyph of Blind – About as mandatory as any Rogue glyph. Your Blind removes all Damage over Time effects from the target, even those left by your team. Make Blind a lot more reliable. Glyph of Garrote – Also strongly recommended. Increases the silence duration by 1 second. Glyph of Feint – Increases your Feint duration by 2 seconds. With your Elusiveness talent this can give you a lot of extra damage reduction. Glyph of Cloak of Shadows – Physical damage reduction, for when those pesky melee show up. Gyph of Recovery – While your Recuperate is running you receive 20% more healing from your healers, potions, whatever. A nice match with Glyph of Feint if you’re being constantly pressured. Glyph of Shiv – Reduces the cooldown, for more Shivs. Glyph of Blade Flurry – Better chance to apply your non-lethal poison (Crippling poison) while using Blade Flurry. Glyph of Poisons – Change poisons faster, to better adapt to changing situations. Glyph of Safe Fall – Increases falling distance, for all oh you cliff jumpers out there. Glyph of Blurred Speed – Running on water has some occasional use. Glyph of Decoy – Might make your Vanish a bit more interesting by confusing an opponent. Lose some and gain some. 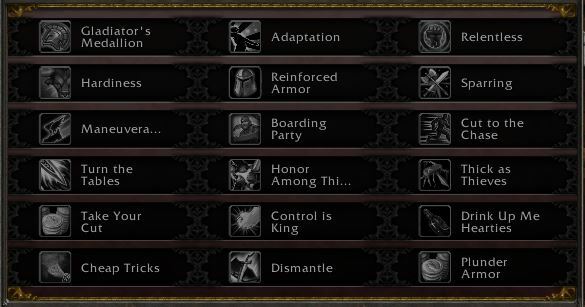 Here are the abilities you have in Legion, or at least in the Pre-Patch. Riposte (10) Greatly increases your chance to parry and attack and adds your own attack (your Riposte.) Use every 2 min and lasts for 10 seconds. Every time your opponent tries to smack you, you parry it off and smack him right back. Run Through (10) Finishing strike that comes with a bit of added range (your Lunge.) Kindof light on damage. Pistol Shot (11) Shoot him and also slow him for 6 seconds. Between the Eyes (25) Finishing strike that damages and stuns the target. Doesn’t hit as hard as Run Through, but the crits do 4x damage. Roll the Bones (36) Finisher that provides a random combat enhancement, and (currently) might provide as many as six. Mightiness. Use your marked for Death to fire it up before a fight. Blind (38) Blind one target for up to a minute. Usable in stealth. The Parley talent, which replaces it, will break you out of stealth. Blade Flurry (48) Hit all nearby targets for partial damage. Lowers energy regen. Lasts until cancelled. Bribe (54) Bribe a humanoid mob (non-player) to fight for you for 5 min. 30 min cooldown. Tricks of the Trade (64) All threat you do is redirected to your targeted party member. Not useful in PvP, but your Honor Level 40 talent, Thick as Thieves, fixes that. Adrenaline Rush (72) 15 seconds of 20% faster attack and much faster (100% faster) energy regen. Mastery: Main Gauche (78, Passive) Chance for more off-hand attacks. Warlords of Draenor note: Hit, Expertise, Resilience and Reforging have all been removed from the game. Note: Haste & Mastery are pretty close in value. Their exact value will depend on your exact gear. Note #2: If you switch between Rogue specs and what to keep the same gear then go with Mastery, as that’s good for all three specs. Agility is easily your #1 damage stat. Haste speeds up everything you do, in addition to your energy regen. It’s your “Attuned” stat and your Outlaw Potency ability, which provides the bonus and also provides more energy regen from your off-hand strikes. Crit gives all of your strikes a chance for 150% (200% in PvE) extra damage. A high Crit rating can add a fair amount of added pressure. The main reason that Mastery is better is because 1) you have nothing that procs off of Crit and 2) a given number of Mastery points will give you a lot more Mastery than the same number of points will give you in Crit rating. Plus, your Roll the Bones finisher might give you a 40% crit buff anyway, so there’s no real need to stack it. Mastery provides you additional off-hand attacks. It applies to your main hand auto attacks as well as all of your other strikes. Versatility adds to damage (and healing) and your damage reduction. Warlords did away with gem sockets on vendored PvP gear, though you could occasionally find one on gear awarded from the boxes won from events. Legion has no gem sockets. So the section below is for those at level 100 and lower. If you can’t afford the gems then see our gold guide for tips on making a bit more gold. This set of recommended gems is for Haste and matches socket bonuses. Matching is recommended, because while Ag is better than the other stats it isn’t wildly better. Perfect gems have exactly the same stats as the gems shown below, but the prices might be very different. Get whichever is cheaper. Note that the Warlords stat squish is in and the gem value are much smaller than before, though since everything else is also squished their relative value will be similar. Gems that used to provide Hit are now Crit, gems that had Expertise are now Haste. This section assumes that PvP gemming will become available at some point. If you’re using PvE gear, that has sockets, the continue. Otherwise skip this section and head down to enchants. Gem sockets have a (small) random chance to appear on awarded PvP gear. Also, there are no meta gems or sockets, there are no socket bonuses, and all sockets are “prismatic,” which means that they will take any available gem. Assuming sockets become available, gem for Haste. 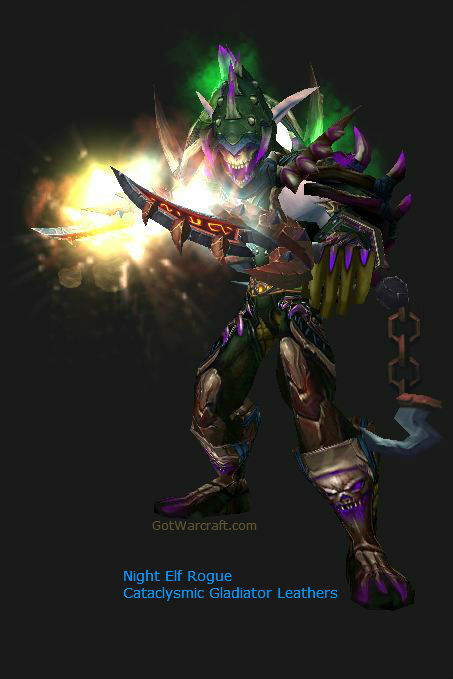 Legion did for enchants what it did for gems. Killed them off. Also, see the note in the Stats section about gear, stats, etc. In Warlords Head enchants are gone, the Shoulder enchants come from the Inscription profession. There are enchants for your rings and neck pieces. 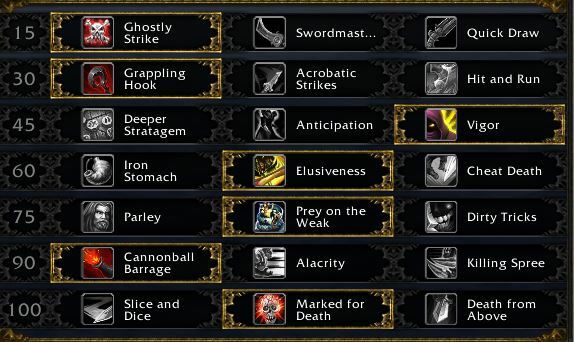 Note that these enchants can be added to low level items, in case you’re PvP leveling. Even Dancing Steel can be added to an Heirloom or other low level item. As before, the highest level enchants can be added to the lowest level items, such as your level 1 heirlooms. If you want to hit 100 faster, go here. Enchantments for level 100 and lower. This section covers the gear quickly, there is a lot more detail in our Rogue PvP gear guide. Again, see that note in the Stats section. Up to level 70 just get the best gear you can find or use your heirlooms. Remember that they can be enchanted with any high level enchants. At 70 get the Brutal Gladiator set from the legacy arena vendors in Dalaran or Gadgetzan. It’ll cost a bit less than 2k honor for the full set. Somewhere around 76 you’ll put the heirlooms back on. At 81 start searching the AH for the blue Mists of Pandaria gear, starting at about item level 415. 85+ You should be able to get find item level 450 gear on the AH, which will be better than any level 85 PvP gear or any green gear you’ll find. Even at level 90.
at 90 you can but the Crafted Malevolent PvP set or put on the Timeless Isle gear or look for Warlords gear on the Auction House. Some people like to stick with lower level PvP, which is cool. If you want to get to 100 faster then ever then check out this page. Do you want the Honor gear? Up to you, but it will be a boost if you’re going into RBGs or Arena. It’s definitely better for PvP than the timeless or crafted gear. Order of acquisition, gemming, and enchanting is the same as for the Conquest gear, below. This is a good order in which to pick up your gear, as it will give you most of the major stats first. Gem and enchant as shown above. Remember that gear is far less important than even before. Not unimportant, just much less so. Crafted Gear: There is no crafted PvP gear, but you can wear three pieces of pretty decent PvE gear that you make with your Leatherworking skill (or buy off the Auction House.) Actually, you should drop one of those and grab the crafted main-hand weapons. Call it chest, legs, and weapon. Stats on crafted weapons/armor can be rerolled to get what you like. The pieces can also be upgraded at a material cost greater than the original making. Weapons are 630 and armor bits are 640. Armor goes to 715 and the weapon to 705. You PvP gear will be much better in a PvP setting, but the crafted bit will get you started. Of course, it helps is the rest of your gear is halfway decent, too. Honor/Conquest Gear: Your PvP items, outside of Legion, have two stats, one for PvE, the other for PvP. In Warlords Honor gear was 700 PvE and 730 PvP, Conquest gear is 710/740.IN any form of PvP combat the 2nd number is used. In Legion everything is “normalized.” Item level counts, just a lot less than before. Gloves and any one from Head, Shoulders, Chest, or Legs. For the 2 piece set bonus. Switch the above order for Conquest. Rings, neck, and cloak because they can all be enchanted. Tricks of the Trade no longer adds damage to your partner, so is now useless for PvP. Poisonsare not your thing anymore. Blade Flurry for multiple opponents. If you can time your Killing Spree with a buff or an item proc then you’ll do that much more damage. Try to restealth as often as possible. There are some tips on doing that here. Some macros for your amusement. Note that since Tricks no longer adds to your team member’s damage, in Warlords/Legion it’s a useless ability for PvP. Another option, if you change T of T targets, is to do it with a mouseover. If there is no mousever target then it will do your current target. Mouseover a target and hit the Blind button. If there’s no target under your mouse then it will blind your current target. Cast gouge and immediately start bandaging. Works just fine when out of combat. Replace the name of the bandage with the one you’re currently using. This one will dismount and stealth you, then cast Sap. Keep mashing it if you suspect there’s a Rogue/Druid nearby. It will only target sappable enemies and won’t target dead ones. This makes sure that your autoattack starts, even if you don’t have the energy to actually use SS. You can also add /startattack to any macro that you might use when switching targets. In Warlords of Draenor all of the profession bonuses are gone. Professions are now only for gear, toys/mounts, or gold making. Tailoring – pretty useless for you, unless you want a flying carpet. Leatherworking – Can make some nice gear and your starting PvP set. Jewelcrafting – Gems, rings, neck pieces, gemmed panther mounts. Enchanting – Make everyone’s enchants, plus enchants for rins and neck items. Inscription – glyphs, fortune cards, caster items, shoulder enchants. Engineering – Interesting toys, a glider, nitro boosts, mounts. Blacksmithing – Some nice weapons. Skinning, Herbalism, Mining – for the gold or to supply one of the above professions. The best? Orcs and Humans. In Warlords all racials dealing with Hit and Expertise are gone. except for the Orc expertise all others were replaced with new abilities. All races now bring some kind of damage ability to the table. PvP trinket escape ability allows use of two DPS trinkets to more effectively deal with the Horde scum. “The Human Spirit” now adds +2% to all of your secondary stats. Small size really is a perk. Stone Form washes away effects and gives some damage reduction. Slightly harder to hit, which is nice if it causes that massive incoming crit to miss. Shadowmeld can be used in combat when Vanish isn’t up. ‘meld to stealth to get out of there. It can also break incoming spells if you time it just right. An extra Sprint has its uses. Increased Crit chance is nice for any Rogue. Blood Fury is a DPS cooldown. Add it to your “Die NOW, Filthy Alliance Scum!! !” macro. Resistance to stun effects has a small, but real, value in all aspects of PvP. Berserk cooldown increases attack speed. Add it to your “Die Now!” macro. Increased XP when killing beasts helps a bit when leveling. Reduced duration of snares is always useful. Drain health from enemies and heal. This is a small, passive, and continuous effect. Eat enemy corpses after you kill them. Rocket jump gets you into, or out of fights quickly. It does break stealth. Launch rockets to annoy enemies. Greater Haste is a decent stat. It also silences all nearby opponents for 2 seconds. 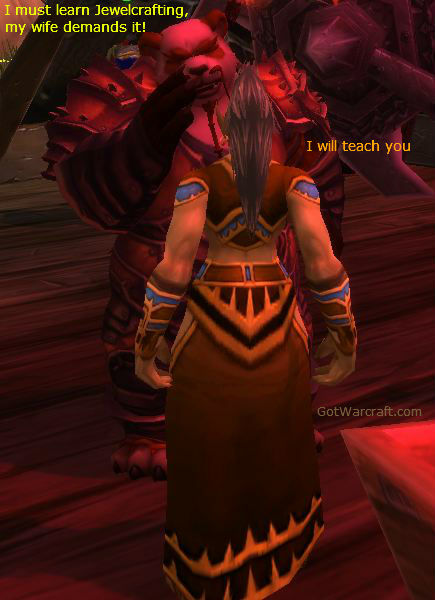 Tauren: Bzzzt! No rogues here. Less falling damage, for when you’re cliff jumping. Melee range stun acts just like another Gouge. Better food buffs, though you stiff have to eat more after you die. If you’re not yet 100 you will get more rest XP, making leveling faster. Not yet at the level cap? Leveling another Alt? Want to save yourself a whole lot of in-game time and a good deal of frustration? Even if you already know many or most of the quests? Dugi’s guide is like having an expert helping you every step of the way. Regardless of your starting level you just pick your starting point and the guide automatically updates and advances as you complete quests, sets a waypoint arrow automatically pointing you in the correct direction, and includes all the important quest info. Even though WoW’s in-game quest guide is superior to what it was previously it still doesn’t give you the right path for the fastest leveling or keep your from tackling things that are way to high or too low. With Dugi’s you’ll never have that problem or wonder about where to go or what to do. Even if you take a break to do some PvP leveling or some other quests that aren’t in the guide it’s not a problem. The guide will pick up from where you left off, adjust for your new levels, clean up your old quests, and you’ll go from there. I appreciate the work you put in this guide, but I have a differing opinion on some things. One is that rupture is optimal only during red buff and you are about to killing spree. Revealing strike > Sin Strike until 5 cp (let’s assume in a perfect world slice and dice is also rolling) then you will rupture with the red buff, MfD Kidney, shadow blades into killing spree. Assuming you also have prey on the weak, your rupture will deal 30% from red buff, 10 due to stun, and a whopping 50% due to the fact you are in killing spree. So this is a 90 percent damage increase, which is essentially double damage. Let’s also not forget that you will possibly have proc trinkets/dancing steel active. Sounds like you have a clue. Let me look into that and talk to my Cbt Rogue player and I’ll update appropriately. Edit: with Warlords your Rupture and Shadow Blades abilities are gone.